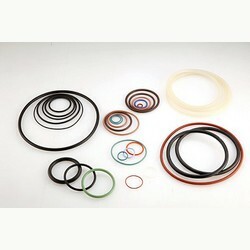 Manufacturers of O-rings, Oil Seals, Valve Stem Seals, Bond Seals and Boots. •AS568, JIS, Metric as well as Inch kits available. •Standard 70 Shore A hardness as well as customer specified durometer O-rings available. •The temperature range is depending on the material. 1. Accept any size to order, custome-made. 2. OEM orders are welcome.